You did a great job We would recommend you to every one we know and then some. You become more than agent but a friend thank you! Ron F.
Catherine is wonderful and a true professional. She was there every step of the way helping us to purchase our first home. Of course we had so many questions and she was always available to help us navigate the process. My husband has a very demanding work schedule and she always willing to work with us....even if it meant going over a contract at 11 o'clock at night! We will with out a doubt work with her in any future real estate transactions and highly recommend her to family and friends! Amy & Patrick M.
No one will work harder to get you the best deal possible than Catherine! She is always available, very accommodating, and she always goes the extra mile for her clients. We had a sale fall through with a different agent prior to hiring Catherine. When she listed our house she did a ton of promotion and a HUGE open house and we got multiple offers that were so far above the previous offer that she completely paid for herself and then some. I cannot say enough good things about Catherine. 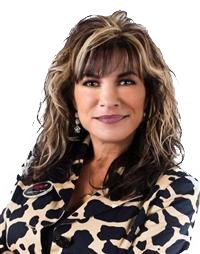 If you have a home to list and want top dollar, you need to call Catherine and let her show you what she can do to get you a great sales price. I recommend her unconditionally to my friends, and to you too. Jill S.
Catherine is an amazing realtor. She helped so much during the process of buying our first home. Meeting Catherine at an open-house opened the door to making our dream happen. She guided us every step of the way, and helped make the process as easy as possible. Catherine responds quickly to every phone call, and email. She makes sure her clients know they have someone there for them. She is a consummate professional, and I will always call her first when I am buying or selling property. Thank you for making our dream come true! Jamie N.
Catherine was super helpful and always on our side. She was our listing agent when we sold our home in Citrus Heights. She was always putting our house out there. She did multiple open houses, put it on social media and got out and knocked on doors. She even brought her family over and helped spread bark in the yard to get it ready to go on the market. Have you ever heard of a real estate agent doing that?!? She was amazing. Our house sold quickly and to the sweetest little family. I highly recommend Catherine. Troy and Ellie T.